Fantastic extensions, support is second to none too than you Manadev. Interesting journey of Mono Machines LLC (small, family-owned business, they offer office products) on how it is important to choose right developers, right hosting and reliable extension developer, like MANAdev.com of-course! It’s been a long journey and we’ve wasted thousands of dollars on crappy hosting and worthless extensions over the years but we’ve finally arrived at a happy, stable place! Starting from tomorrow we are going to spread our love to Magento and participate in #MageStackDay - online hackathon dedicated to answering, closing and cleaning up questions on well known magento.stackexchange.com. Join and meet us 13-14 February 2015 on #MageStackDay 2015, let's have fun together! MANAdev Infinite Scrolling extension works fine with most themes out of the box. 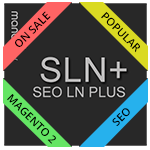 However, some themes introduce very non-standard HTML structure to product lists in catalog/product/list.phtml template and extra configuration is required to help MANAdev Infinite Scrolling extension to find key HTML elements on product list page. This article describes in detail how infinite scrolling extension works, what key elements in HTML structure it searches for and how it can be configured. After disabling extension in Magento it will have no impact to the store just like it would be not installed at all. Some extensions consist of just one module other of few. You may disable whole extension or just some part of it. Full Page Cache (FPC) solutions allows store owners to increase site performance. Magento during each page load executes a lot of costly operations: a lot of SQL queries, tons of file reads, XML transformations and more. FPC solutions save fully rendered page in cache and upon subsequent requests avoid most of those costly operations and instead serve the page from cache (which is a lot faster). 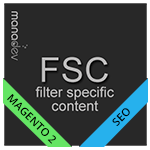 All MANAdev Layered Navigation extensions work with FPC solution which comes with Magento Enterprise Edition (no configuration required) and with Lesti FPC (additional configuration required, see below). There may be more compatible FPC solutions, but these were not explicitly tested to the moment of writing. For MANAdev layered navigation extensions to work with Lesti FPC (A internal Magento Full Page Cache extension by Gordon Lesti) uri params should be added. Typical extension installation involves uploading extension files and clearing Magento cache. Under certain circumstances, extension does not get installed, and Magento starts reporting (in var/report directory, by email, or on screen, depending on the settings) errors like "Base table or view not found", "Column not found" or "Index not found". In this article, we examine why it happens, how to avoid it and how to fix it.